The above is a comment from Bridget who attended my first RenewYou delivered around my kitchen table in the Spring. It was an experiment which I am planning to repeat very soon. If you’re interested please get in touch as I am currently sorting dates. I am able to charge almost 50% less because I have no huge overheads so the cost, including journal, refreshments and lunch, is now just £265 per person. Get in touch via email here, happy to answer any questions. 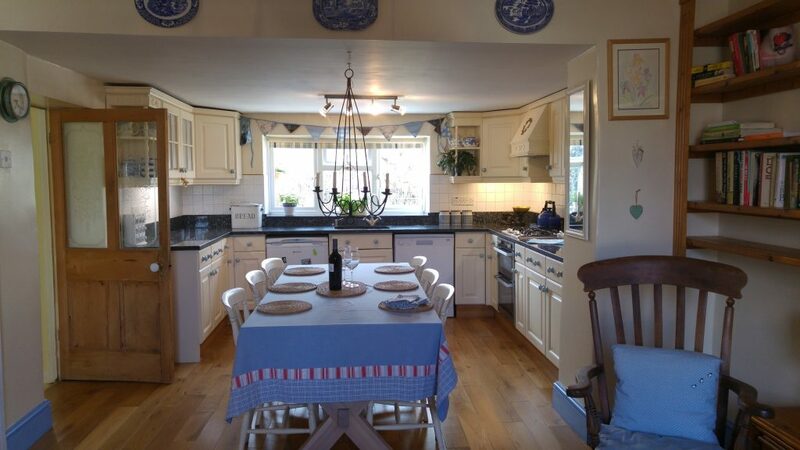 My kitchen uncharacteristically tidy. Table extends! Are you running through life, reacting to demands on your time, rushing from one meeting or after school activity to another, grabbing something to eat when you can, with barely a thought about yourself, what you want, or even, stopping to think about whether what you are doing is what you really want to be doing? Career planning, going back to work, changing jobs, finding a job, getting promotion, never working formally again, planning parenthood, finding a new partner, leaving an old partner, starting your own business… When did you last take time to stop and really think about your life? About grabbing hold of your life and living it your way? That all sound rather personal, doesn’t it? Well, RenewYou is rather personal because it helps you look at your life in all its many aspects. That said, it’s a lovely, informal day, no role plays, ever. It is a day totally focussed on you. Think of it as a time to pause, reflect and relax. I want you to leave feeling really good about yourself, with renewed energy and a plan. What that plan is like is entirely your business, no one tells you how to behave. There is only one rule: do not compare yourself to anyone else. You are unique. This day is open to any woman. Those who have attended in the past have come from all walks of life and at different stages in their lives. It worked for them because we have a solid rule that we never compare ourselves with anyone else and we support the other women in the group to help them grow and develop. So many women have now experienced RenewYou since I first wrote it and their reviews have been wonderful. (I should have kept count as I have trainers delivering it, too but it’s hundreds upon hundreds of women ranging from adoptive Mums, police officers, nurses, CEOs, admin workers, poets, returners to work, university lecturers, women off sick from work with stress, social workers, shop workers…. In fact, I recently had contact with a couple of women who did my original pilot RenewYou and they tell me it is still having a positive impact on their lives after 10 years. That is so good to hear. It is only one day, yet it can genuinely last you a lifetime. “This will be one of the few training documents I will read from cover to cover.” (Referring to the RenewYou Journal). 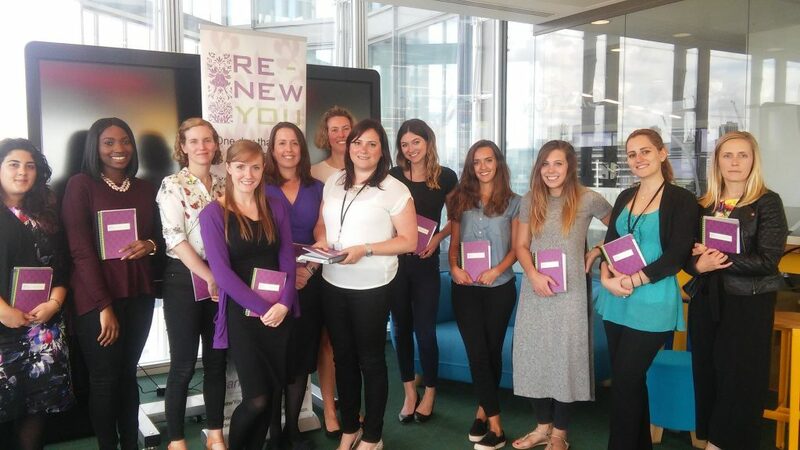 RenewYou is a one day course for any woman anywhere at any stage in her life, who wants some time and space to reflect, and plan ahead. It’s practical as well as inspirational and will give you a huge confidence boost. When did you last invest some time in you and think about what you want from life? You’ll spend a fabulous day with your specially licensed trainer, or me, and take away a great journal which will keep you inspired and motivated for the next 12 months. I’ve been working directly with women for decades helping them make positive and lasting change. Most of that work was long term and some years ago I knew we needed something short and effective to help women and, to be frank, one which employers would release women to attend. And so the power-packed one day course was born. No jargon, no role play, just common sense backed up by research and evidence based practice. It’s your time to think and plan for your best life possible. Everything in RenewYou is tried and tested and it works, I promise you. It’s a day when you get the chance to think about what you want from the next 12 months of your life. A day to think about how to make some of those changes you may have dreamed of in the past. A day to spend time reflecting on what you really want to spend time focusing in the future. It’s about literally renewing you. I would thoroughly recommend RenewYou for anyone who is looking to make change in the working life and also for those who are finding that their role has changed and they need to be clear in their mind of their direction. A thought provoking and satisfying day. RenewYou is absolutely the right title! We have a network of trainers licensed to deliver RenewYou. Many of them do it in-house, but from time to time some of them put on public courses. If that is of interest to you and your organisation/business, please get in touch. I am currently also delivering courses from my home near Bath, the next one is in May, do email me on jane at changingpeople.co.uk for more information. 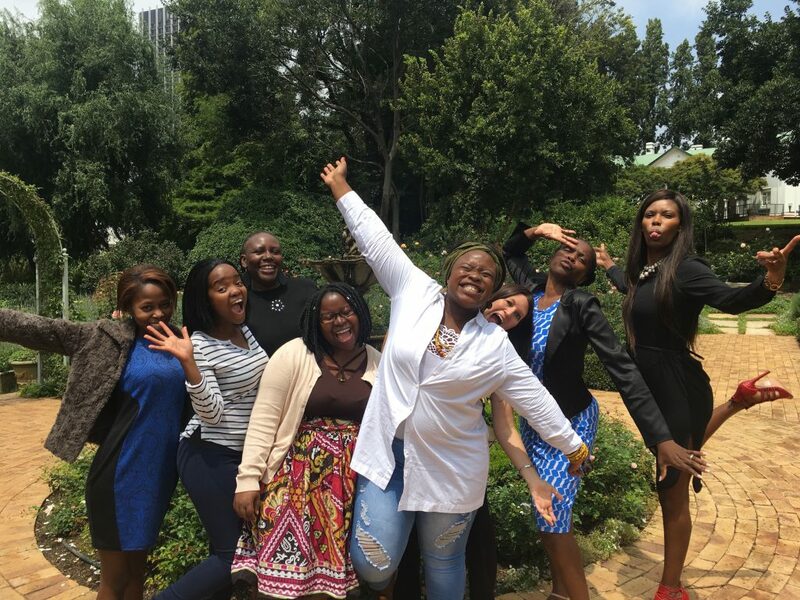 This joyous picture is of women in South Africa, after they had completed RenewYou. I defy you not to smile!